Hanson turns 25 this year! 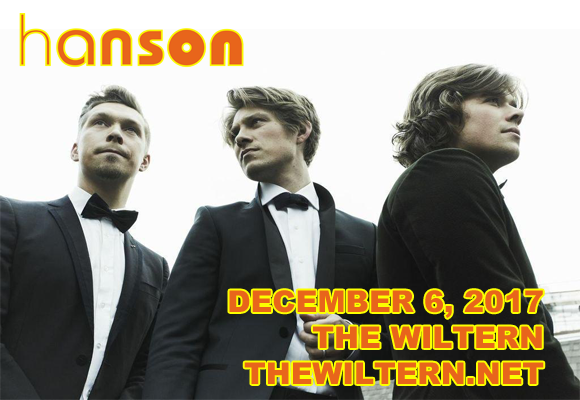 Yes, you heard correctly, the brotherly trio (known for their excellent hair and 1997 smash hit MMMBop) are celebrating their 25th anniversary as a band, and they're coming to The Wiltern on Wednesday 6th December 2017 as part of their Middle of Everywhere tour! “Making music together for 25 years is a milestone that we had to acknowledge, and what better way to do it than with an anniversary tour,” said keyboardist Taylor Hanson. Added guitarist Isaac Hanson, “This year is not only about the two decades of music, it’s about celebrating the incredible community of fans who have been with us, singing along year after year”. Best known for their 1997 smash hit single MMMBop, Hanson is an American pop-rock band formed of brothers Isaac (guitar, bass, piano, vocals), Taylor (keyboards, piano, guitar, drums, vocals) and Zac (drums, piano, guitar, vocals) Hanson. The band's debut album, Middle of Nowhere, was released in the US on May 6, 1997, selling 10 million copies worldwide and earning three Grammy Award nominations. The brothers were 17, 14 and 12-years-old at the time. The band first began playing together in 1992, and in 2017 they announced the Middle of Everywhere Tour, celebrating their 25th anniversary. To date, the band has sold over 16 million records worldwide and have had 8 top 40 albums and 6 top 40 singles in the US, as well as 8 top 40 singles in the UK.